In our house we tend to have family favourites when it comes to dinners. If you were to ask Agent D what he wanted, 9 times out of 10 he'll opt for Macaroni cheese. Ask Agent M and he's gonna say Toad in the Hole (most of the time - He's on a hot dog kick at the moment). 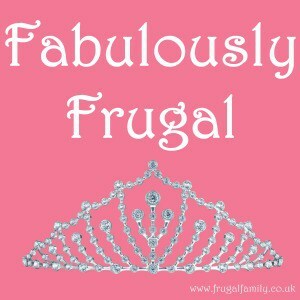 Anyway, Having the same foods maybe 3 or 4 times a month lets me stock up and it can become seriously cost effective. I can buy from the reduced sections and freeze or bulk buy cause i know I'm going to use it up. 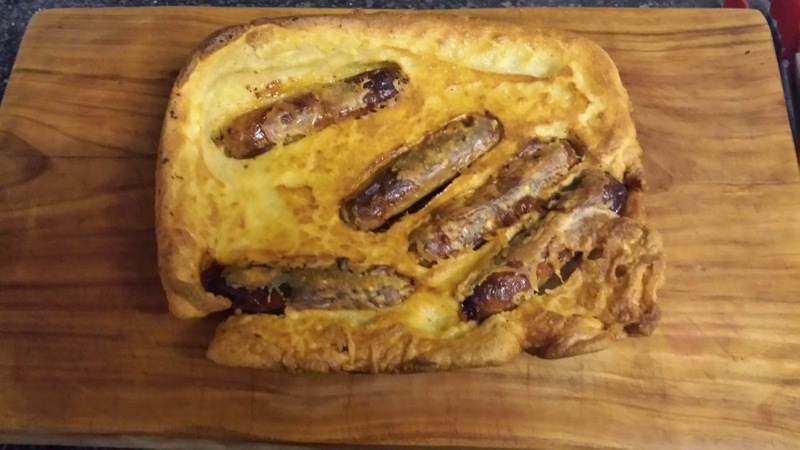 For example, Last night we had toad in the hole. To make it is so simple. In a roasting tray, pour enough oil to cover the base and add a 'splosh' extra. Pop it in a very warm oven to heat up. Meanwhile, fry the sausages in a little pan. I don't bother with oil as they tend to give off a little of their own. Alternatively you could grill them. In a large mixing bowl add one cup of flour, one cup of milk and one egg. Mix till its all combined and add a pinch of salt and pepper. The cup size doesn't need to be exact. I use the biggest measuring cup i have but i have used Agent M's Winnie the Pooh mug before. Point being it needs to be the same cup used for both measurements. Take the tray out the oven once it starts to smoke and add the sausages. (Careful, they will spit at you). Pour over the Yorkshire pudding mix and quickly put in the oven. Turn the temperature down to about 180C and bake for about 20-25 min. I always check by looking through the window of the oven to see how its cooking. I remember being told once never to open the oven door to check on Yorkshires while they are cooking as it stops them rising properly. Not sure how true that is but its stuck with me for years lol. So how cost effective is it? So per person, the meal only came to roughly 61p each. 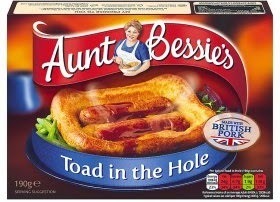 By comparison to buy this Aunt Bessie's Toad in the hole will cost you £1.50 in a well known supermarket. 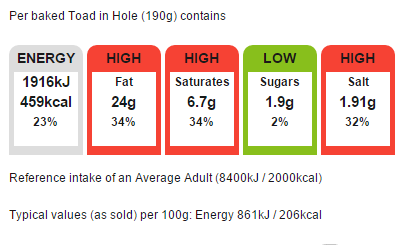 Its hard to argue with cheaper, healthier alternatives really. 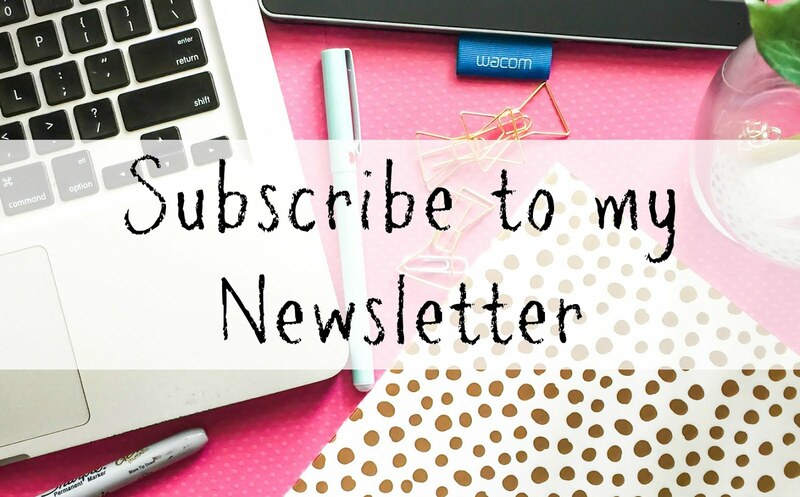 Can you do something wild?